We love Cape Cod. We think it is a beautiful, wonderful place to live, and that our Cape Cod bed and breakfast, located in Sandwich, Massachusetts, is the perfect place to stay and explore all that is available here. Not only do we who are lucky enough to live here think it is special, but so do the millions of people who visit here each year. Scenic Cape Cod, with its’ beautiful light, quaint villages, the sea, and lifestyle, has attracted people of talent and imagination since John Audubon came here in 1835. 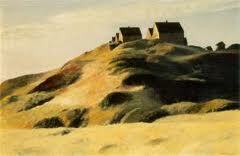 Edward Hooper summered in South Truro and painted numerous famous Cape landscapes. Ralph Cahoon is perhaps the most famous folk artist to reside and work here. Marcus Waterman’s paintings featured the outer areas in the Provincetown area. Provincetown is America’s oldest art colony where, in 1899, artist Charles Hawthorne was so besotted with the intense sunlight here that he founded the Cape Cod School of Art and taught and painted here for 30 years. In addition to visual artists, poets and writers have also been drawn here. Thoreau spent time on Cape Cod and Eugene O’Neill wrote his first play here. For the entire month of October, the rich artistic community on Cape Cod is celebrated with the "Fall For The Arts Festival." The Festival covers the Cape with events scheduled from Sandwich to Provincetown to Chatham to Woods Hole. There are over 125 special events, including live performances by local musicians, special exhibits, readings and lectures, guided art and heritage walks, and much more. See the complete schedule by town at the Arts Foundation of Cape Cod website. 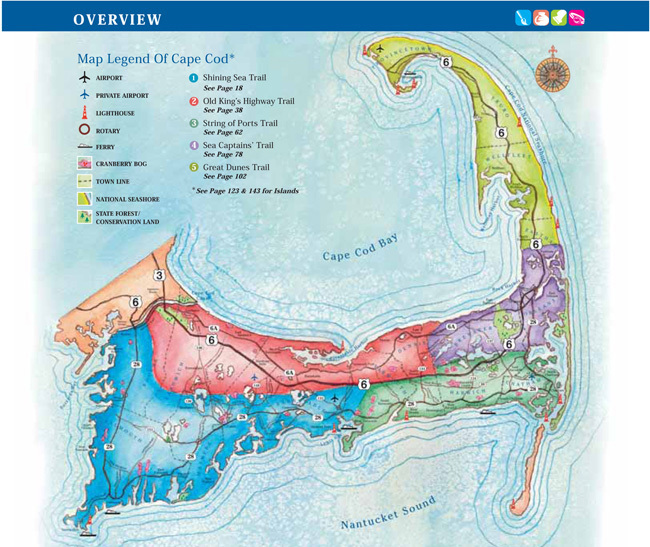 A handy guide to find your way to see the work of wonderful artists and artisans is the second edition of the Arts & Artisans Trails of Cape Cod, Martha’s Vineyard & Nantucket published by the Cape Cod Chamber of Commerce. The guide divides the Cape into five distinct "Trails." The Old King’s Highway Trail starts right here in Sandwich and follows Route 6A through Barnstable, Cummaquid, Yarmouthport, and Dennis. We are proud that a third of the all the artist and artisans listed in the guide are in Sandwich, many within walking distance of our B&B. Although Sandwich has always been on the map for its' historical sites (it is the oldest town on Cape Cod), it is also a haven for the many of today’s talented artist and artisans. Sandwich is home to the Sandwich Glass Museum, which houses a wonderful collection of Sandwich Glass, and the Heritage Museums & Gardens where you will find one of the most important collections of American antique automobiles in the country. We are offering a special "Fall For The Arts" package at our Sandwich Inn during October that includes a free copy of the trail guide to help plan your day trips. See our Specials & Packages page for more information about our package and come experience the season on Cape Cod. You may even find some wonderful holiday gifts for the people on your Christmas list.